The time has come to bring your little one to a daycare or a preschool. You probably have already heard from other parents that the first few weeks might be very stressful for both you and your child. And while separation anxiety is very common during this period, there are some ways to help your child to adjust at a daycare or preschool and to make the transition smoother for both of you. The main thing you should remember is to have a positive attitude. Studies have shown that emotional state of babies and toddlers is strongly connected to their parent’s. So, your child can pick up on negative feelings you might experience and make it very hard for both of you. Pay attention to the way your talk about her going to a daycare or a preschool soon and what your body language is. If your voice is shaky and you can’t bring yourself to smile sincerely, your child will tune into your feelings and not your words. 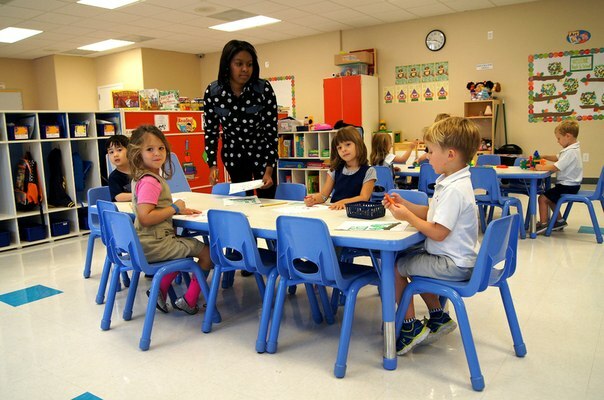 Start talking to your child about the daycare or preschool she will start attending a few weeks before the actual date. Describe the things she will learn there. Show your child how confident you are that going to the daycare or preschool will be a positive experience, how wonderful and trustworthy her caregivers are, and how proud you are of her. Look for books about starting preschool or daycare at your local library. There are plenty of stories about how challenging starting daycare or preschool can be and how rewarding it becomes after some time. Reading these stories together will help your child understand the main character and his feelings, which will help prepare your child for adjustment. Tell your child stories that start something like this: “Once a little boy (or a girl) went to a daycare for the first time…” Add some fun adventures and a happy ending. For instance, you can talk about how he was sad to leave his mom at first, but then he really enjoyed making new friends and couldn’t wait to go to school every day. If you can remember, you can even tell her about your own experience with daycare or preschool. Create a role game with stuffed animals, cars, trucks or anything your child likes playing to act out what day care will be like. For-instance, a big elephant could be a teacher, a big bear could be a mother or a father, and all the smaller toys could be the children. Show the elephant feeding the kids, reading to them, putting them down for a nap. And, of course, show the mother or father bear coming to pick up his little one at the end of the day and giving her a hug. Visit the facility together with your child prior to leaving her there for the first time. It will make it easier for her to be without you if it is in an environment she is already familiar with. Of course, not everyone has the flexibility to ease a child into daycare or preschool, and not all children need this. But if you have the opportunity and your child seems like she could benefit from a gradual transition, a good way to help that transition is to start with one to-two hours on the first day. Then, gradually build to your full-time schedule by the end of the first two or-three weeks. Give your child’s to caregiver all the information about your child that could be helpful, like: what your child likes and dislikes and what you usually do to cheer her up or to calm her down. Don’t leave her without saying a proper goodbye. When you promise your return, be specific with the timing. Some researches believe, that even infants have an internal clock that lets them how long they have been apart from their parents. Make your goodbye quick, and don’t come back if you hear her crying. Hanging around when you were about to leave will make it harder for you and your child. Bring your child’s favorite toy or any other comfort object, and ask the caregivers to show her your picture if they think she needs some comforting. Some studies shows that even babies behave more calmly when they can see a picture of family members or even some of their parent’s clothes. Tell your child that it is very normal to feel sad or scared when she is starting something new. Show her that you understand her emotions by telling her a story of a time when you had to start something new, for instance. You can explain how scary it was at first and how it got easier over time. Remember, that a toddler’s language is very limited, so keep the story simple – but you still might be surprised by how much they can understand. If possible, try to make friends with some parents at the daycare or preschool and organize a play date. 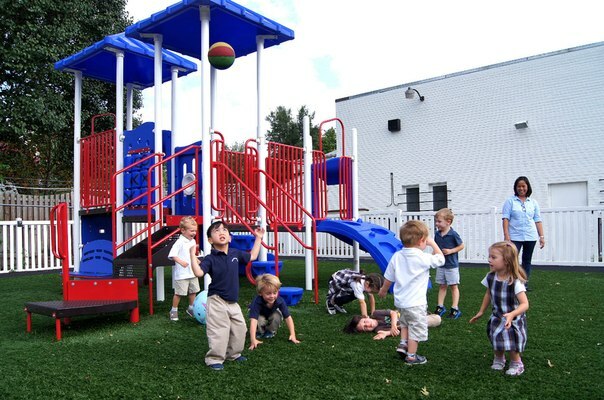 Your child will feel much more comfortable playing with children she plays outside of the school too. Until she has made the transition and is comfortable in her new school, avoid making any other changes in your child’s daily or night routine. For-example, don’t transition from a toddler bed into a big girl bed or try to potty train at the same time. Doing two major changes may overwhelm her and make both things more difficult. Be especially attentive and loving during the transition period. Your child may be under stress, which can show in many different ways, including clinging to you, ignoring you, or showing some aggression. Try to be patient and understanding. All of these tips are great for making the transition as painless as possible. However, you still may see your child in tears every time you drop her off at a preschool or daycare during the first few weeks. It is very normal. And while you may feel sad about it right now, remember that the hardest time will pass. Very soon you might feel even a little disappointed, when your little one likes it so much at school, that she doesn’t run over to you at the end of the day, eager to come back home with you! Summer Camp enrollment in Lorton is now open to the public (Limited Spaces). Call us at 703-690-0063 and schedule a tour to learn about our great program! 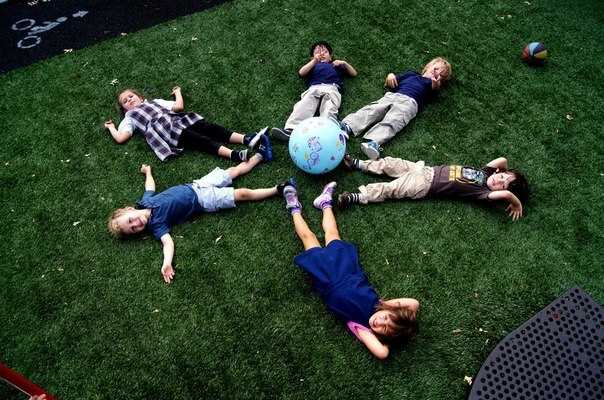 Kindergarten & First Grade enrollment in Lorton is now open to the public (Limited Spaces). Call us at 703-690-0063 and schedule a tour to learn about our great program!